A GRIP ON SPORTS • You want to insult an NFL fan these days? Compare them to Thursday Night Football. That’s as deep a cutting remark as you can come up with. Read on. • The level of play on Thursday nights is spotty, at best. Has been since the league decided to add to its pantry of games – and pocketbook – by making teams play on short rest. Some games are exciting, in a car-wreck sort of way. Others are just downright awful. And others involve the regional team. Yes, the Seahawks play tonight, sending their aging lineup to Arizona – that’s appropriate – to face another aging team, the Cardinals. Who will survive? The Hawks better or we may start thinking about making plans with the family in January. If Seattle can’t defeat 4-4 Arizona, then making the Super Bowl seems a longshot at best, right? Two of the four Arizona wins have come against the 49ers. The combined record of the three teams they have defeated this season is 6-19. The four teams they have lost to are 23-10, with eight of those wins belonging to the Eagles. The most important aspect of the game tonight, however, might be the day of the week. With quarterback Carson Palmer out, the Cardinals turned to 32-year-old running back Adrian Peterson a career-high 37 times to earn a 20-10 road victory over winless San Francisco last Sunday. Peterson responded with 159 yards rushing, but how much will be left in his tank with only three days to recuperate? 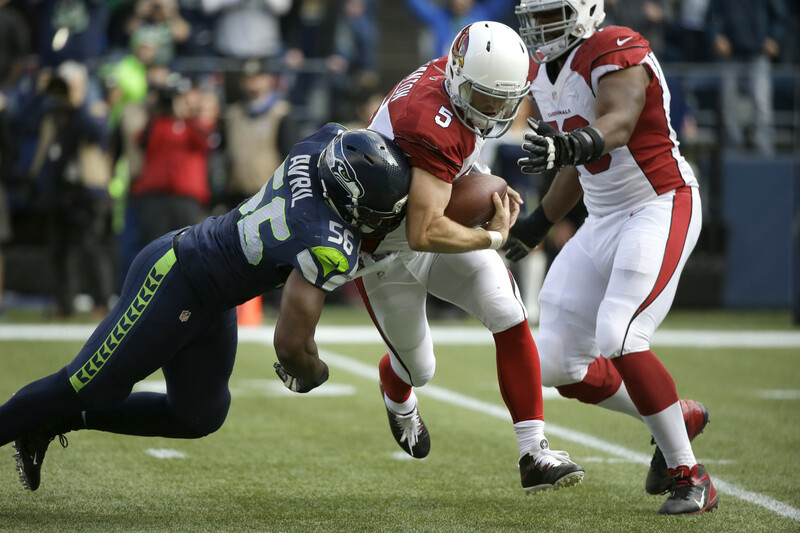 And, with backup Drew Stanton replacing Palmer, will the Cardinals be able to move the ball against the Hawk defense? Could be. After all, it looks as if Earl Thomas will still be out. If this game was Sunday, he might be back. But not tonight. 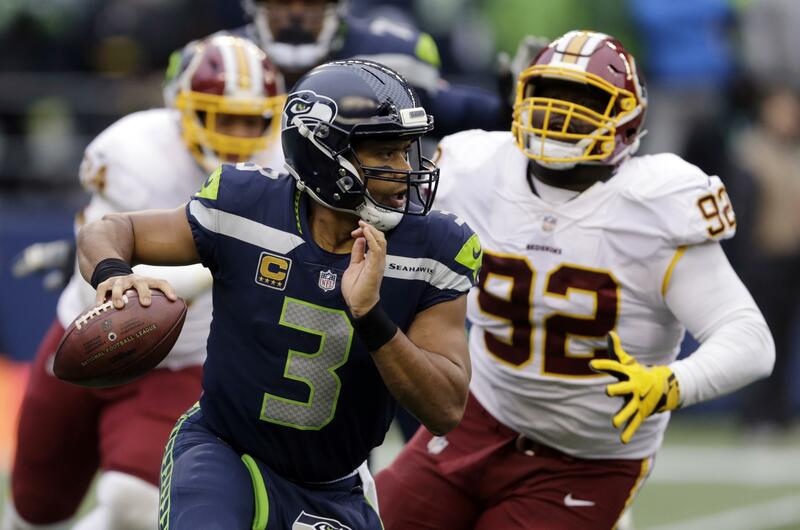 The Seahawk defense has shown signs of being “the Seahawk defense” at times, but then, like during the last couple minutes against Washington and the entire Houston game, they have looked less-than-ordinary. It doesn’t matter, really. No matter who has to suit up for both teams, how much they have in the tank, the game will be played. Fans will turn on NBC or the NFL Network or stream it on Amazon. They will expect their team to win. If the Hawks want to stay within tagging distance of the Rams, they have to win. If the Cardinals want to stay in the playoff hunt, they have to win. Bruised, battered and beat-up doesn’t matter. All that matters is who wins. WSU: Washington State struggled in one area against Stanford: kickoff coverage. The Cardinal averaged 34.6 yards per return, giving them excellent field position multiple times. Special teams coach Eric Mele is working to fix that. Theo Lawson has the story. … Theo also asks you to vote in a poll: What was Luke Falk’s best drive ever? I picked the Rutgers’ one for a simple reason: It was the one that showed WSU it could come back late and win. It also jump-started 2015, the first of three bowl seasons. You never forget your first crucial comeback. …Theo also makes his Pac-12 picks, posts a transcription of his live chat from yesterday and has interviews of assistant coaches on the WSU football page. … A visit from Mike Leach is a big deal in Utah. Elsewhere in the Pac-12, the conference has been taking some big PR hits lately. Maybe this weekend’s games can change the focus. … The games begin Friday night with Washington at Stanford. The Cardinal has some big wide receivers. The Huskies have a great defense. … USC travels to Colorado having never lost to the Buffaloes. The Trojans aren’t playing their best but should be good enough to get past the Buffs. … UCLA isn’t having its best week either, but should get Josh Rosen back. Arizona State would rather not see him. … Will Oregon State see Khalil Tate, let alone tackle him? The Beavers could use a win over Arizona. … Speaking of PR hits, the China trip for UCLA basketball has certainly been one. What a way to open the basketball season. Gonzaga: The first signing day for 2018 recruits netted the GU men two players, a 6-foot-6 point guard and a 6-11 Serbian forward. Jim Meehan has the stories. … The Gonzaga women also signed a player on the first day of the signing period. Jim Allen has the story. … Gonzaga’s athletes are doing exceptionally well academically, among the best in the nation by one measure. Jim Meehan has that news. … Around the WCC, BYU played its final exhibition game last night and rolled to a win. … The Bay Area schools, Saint Mary’s, USF and Santa Clara, are ready for the season to begin. … Pacific also rolled in its final exhibition. EWU: With the win-at-all-cost game against North Dakota coming up, the Eagles may rely on Jordan Dascalo to flip the field for them. Jim Allen has a feature on Eastern’s punter. … The men’s basketball team will have a rare non-conference home game Friday. Jim has that story as well. … Jim also tells us Cooper Kupp is adjusting well to the NFL. … Elsewhere in the Big Sky, Northern Arizona may be looking for a new athletic director soon. … A Montana player is now on a watch list. … Montana State’s offense isn’t where the quarterback wants it to be. CCS, NIC: Volleyball’s regular season ended last night with wins for both schools. Chiefs: Around the WHL, Portland has been rolling along. And the Winterhawks have been exporting some of their coaching talent. … Everett is dealing with some discipline problems. Preps: Yesterday was an important day for many local high school athletes. They signed letters of intent with college athletic programs. Say what you will about the state of college athletics and the entire binding contract thing, but it’s a special day for those lucky enough to sign. Dave Nichols traveled the area yesterday and highlighted a few local kids who realized a dream. … State soccer playoffs got underway in Washington and Jim Allen covered two matches yesterday, Central Valley’s shootout win over Sumner and U-Hi’s victory against West Valley (Yakima). … Dan Pelle has a photo report from the CV match. … Greg Lee makes an appearance on Pick Six with Sam Adams. … Dave also has a preview of the state volleyball tournaments. Seahawks: Going into tonight’s game, the offensive game plan seems to be to give the ball to Russell Wilson and ask him to make plays. … There is a lot to watch. … Can the Cardinals defeat Seattle at home? … Dion Jordan should play tonight. Published: Nov. 9, 2017, 8:52 a.m.